R.I.P.D. (which is actually based on a comic book, interestingly) has already been out for over a week, and apparently it has "bombed" quite badly with few viewers, and mostly terrible reviews. 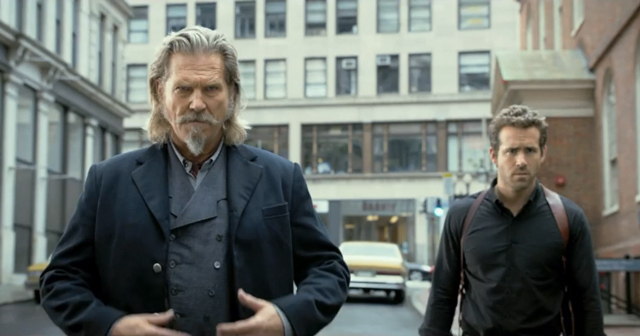 The thing is, I kind of liked it and would at least say it was moderately entertaining. Let's explore why it possibly failed and how come I enjoyed it anyway. 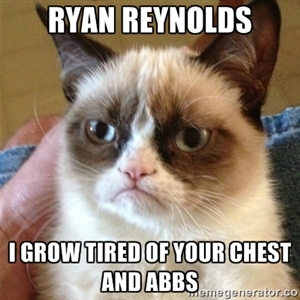 I know what "abs" are but what are "abbs"? The famous cat Tatar Sauce (also known as Grumpy Cat) may have had enough of Reynolds but I still find him somewhat amusing, plus Jeff Bridges is always entertaining, so I figured this was a movie worth checking out. Much to my surprise Kevin Bacon is in the movie (you wouldn't know it from the previews) and figures into the plot in a pretty big way. I think one thing working against the movie is a lot of people felt it reminded them too much of "Men in Black," but upon seeing the flick I can say they are actually pretty different. True it has the, "Aliens/dead monsters" are hiding among us" shtick, but the way the agencies function varies significantly and I think the comparisons between the movies is due more to the poor handling of trailers for the flick than the actual content of the movie itself. So, we have a movie with an actor some people are exhausted of seeing, a plot that at first glance is very similar to another series, horrid reviews, and advertisements that don't even acknowledge how Kevin Bacon is involved (and he makes anything better, so why they ignored his presence in ads I don't know). I guess the cards were just stacked against R.I.P.D. before the thing was even released. How is the movie though? As I said, pretty good. A big chunk of R.I.P.D. 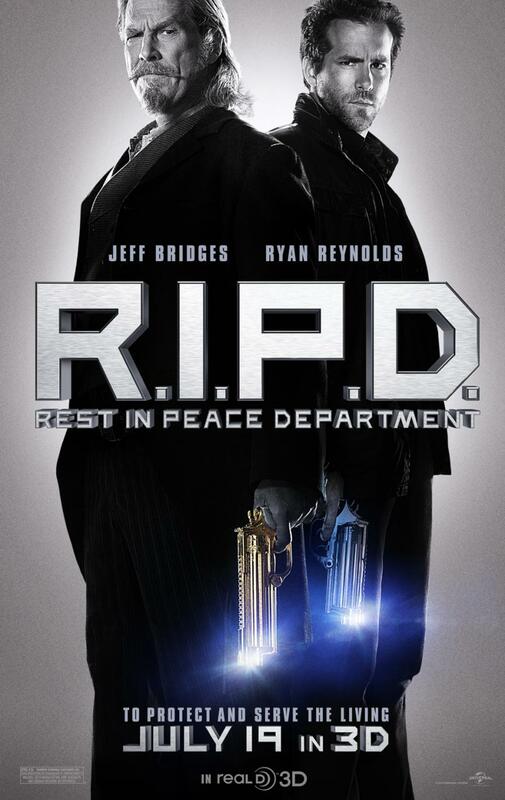 's plot as you've probably heard is that Ryan Reynolds is a police officer who is killed but if offered the chance to join a special police force (of sorts) that hunts down dead people who have found a way to hide out on earth. There are various plot twists and jokes, some impressive special effects, and by the end of the relatively brief 90-ish minutes I thought I had a pretty good time, at least the cost of a movie-ticket's worth (Do note I did NOT see it in 3D as I hate that format for movies, so I don't know if that's worth the extra cost for those of you who enjoy that headache-causer). R.I.P.D. is not a great movie, but it is a good one. Should you want to kill some time there are worst ways to spend an hour and thirty minutes. Should you want some mindless fun it would be worth checking this out. Plus, it probably could really use the ticket-sales.